Avoid the temptation to “confess all” in hopes that the police officer will appreciate your honesty. Saying that you only had one or two drinks might be honest, but to an officer looking for evidence, it might also sound incriminating. You have the right to remain silent. Take advantage of it. Along the same line, it’s important to remain calm. Keep composed. Don’t resist arrest or ask the officer, “Do you know who I am?” Do not threaten to sue or to have the officer fired. Remain polite, use your right to remain silent, and let your attorney do the talking later. Do not wait to speak to an experienced DUI defense lawyer. The moment you’re charged with DUI, a prosecutor begins putting together a case against you. Give your defense attorney as much time as possible to conduct an investigation, question potential witnesses, and examine the prosecution’s evidence. Your license will also be automatically suspended if you don’t act within ten days of your arrest, so do not wait to make the call. 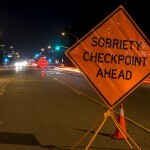 As quickly as possible after being charged with DUI in southern California, retain the services of an experienced Orange County DUI defense attorney.